SACRAMENTO, CALIFORNIA (April 13, 2017) - The Pacific Challenge Series presented by PenneyLawyers.com has been forced to postpone round two of its 2017 season due to wet grounds and unsafe conditions at the All American Speedway in Roseville, CA. Saturday's event will be listed as a postponement with a possible make up date undecided at press time. The series will continue May 6th in Anderson, CA at the 3/8ths mile Shasta Speedway. Tracy Bolin was the race winner in the series' lone visit to the popular fairgrounds facility in 2016. SACRAMENTO, CALIFORNIA (April 11, 2017) - The Pacific Challenge Series presented by PenneyLawyers.com visits one its home tracks on Saturday night, when the touring Super Late Model Series invades All American Speedway in Roseville, CA. Jason Romero will look to increase his winning streak at the track to five, after a perfect 4-0 season at the one-third mile in 2016. Saturday's event is the second round of the ten race series. The racing program will be the start of the 63rd season at the speedway on the Placer County Fairgrounds with Street Stocks, NCMA Sprint Cars, and F4s also scheduled. Two-time series runner-up and 2014 champion Mike Beeler of Modesto is among the strongest active PCS drivers in Roseville history with ten top-tens in 11 starts and one victory. Beeler opened 2017 with a fourth place finish in the PCS series opener at Madera Speedway. As for Romero, he ran second in Madera overcoming an early race spin to take a narrow loss to race winner Carlos Vieira. Romero, the 2009 Roseville track champion, will have another familiar Roseville area driver to deal with 2015 series champion John Moore of Granite Bay fresh off a third place finish at Madera. Moore's son Cole, the 2015 Rookie of the Year, has continued to show speed but is yet to win his first race with the tour. Tracy Bolin of Valley Springs rounded out the top-five at Madera and is searching for some success at Roseville. 2016 Rookie of the Year Matt Wendt had several solid performances at Roseville last year and will try to close one out on Saturday. 2017 Rookie of the Year contenders Alexander Mead of Watsonville and Jack Wood of Loomis come into Roseville with different backgrounds. Mead will be making his first track start while Wood has several years of Legends experience at the track under his belt. 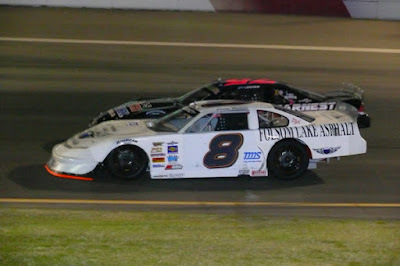 Mead was the Penney Racing Supply Hard Charger in his series debut at Madera. JR Courage, the 2014 Rookie of the Year, counts All American Speedway as one of his home tracks with both his father and brother hoisting track championships in the past. Saturday is expected to be Courage's first start of the 2017 season. Folsom's Hunter Corbitt only 2016 start came last May at Stockton 99 Speedway and it ended with a grinding crash on the final lap. Corbitt had a strong 2015 season with eight starts including finishes of third and eighth at Roseville and a win at Ukiah and his return to the series on Saturday adds to the strength at the top end of the grid. Elk Grove's Mike Hite has nearly ten starts at Roseville with a best career finish of seventh, while Hayward's Danny Malfatti showed increased speed at Madera after many off season changes. Both Travis Milburn and Chris Scribner are aiming for returns to action after mechanical woes at Madera. Milburn has seven top-fives in nine Roseville starts while Scribner has a best career finish of third. April 2015 PCS Roseville winner Shannon Mansch is a former touring Late Model champion in the Westcar Series who is always a factor at her home track as well. The Roseville race is the first of a busy 11-race schedule for NSMS. Lucas Oil is stepping up the tow money program this year whereby the top ten points contenders will each get $200 show-up money, and 11th through 15th will receive $100 at each 2017 points race. This program begins at Lakeport Speedway on May 6. After the Lakeport show the series heads North to Redwood Acres Raceway in Eureka for a Memorial Day Holiday Sunday event. Then the tour ventures South to Madera Speedway on June 10 for a combo show with the southern-based Lucas Oil Modified Series. Back to Roseville on June 24 to be a part of the Placer County Fair festivities with the Nor Cal Pro-4 Modified Series. Events in July include the first of two shows at Mendocino County's Ukiah Speedway on July 8, and the second of three shows at Eureka on July 22. 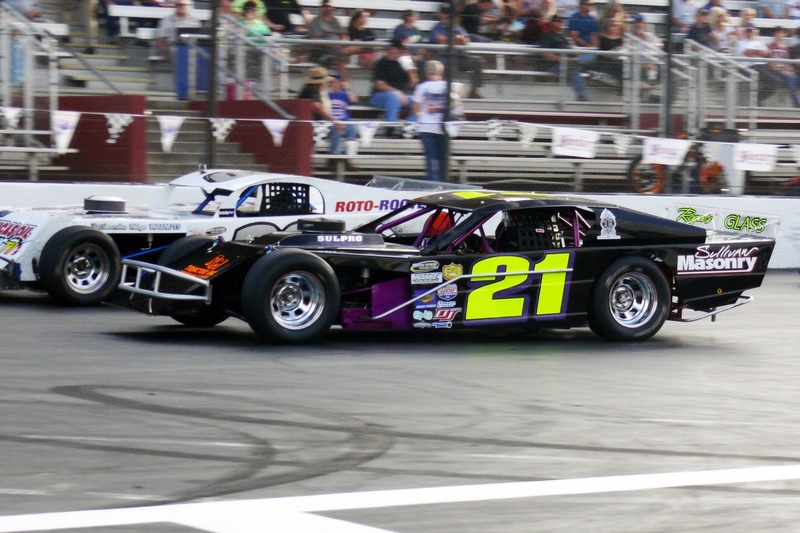 Lakeport Speedway, Ukiah Speedway and Redwood Acres Raceway have joined forces to create a mini-modified series with the six North State Modified Series races schedules at these three tracks. The other race at Ukiah will be on August 19, and September 9 is the date for the final Redwood Acres Raceway show. Shasta Speedway will once again host the “Lloyd Burton Against the Wind Modified Challenge” on September 23. The winner of this prestigious event will have his name engraved on the four foot tall custom-designed wooden trophy donated by Burton's brother-in-law Mort Houston. The final event will be back at All American Speedway for a Trifecta Championship Night featuring the North State Modified Series, the Pacific Challenge Late Models Series, and the NASCAR K&N Pro Series. This event will be promoted by Bill McAnally Racing Promotions and will be on October 14.. The North State Modified Series is presented by: Protect the Harvest, Swartz Diesel, Lucas Oil, Sinister Diesel, Penney Racing Supply, American Racer Tires, Wrap Star Pro, Naake Suspension, Sunoco Race Fuels, Five Star Bodies, Racer Bling, Wenteq, Keyser Racing Products, Scribner Plastics, DJ Safety, and the Buckhorn Bar & Grill. 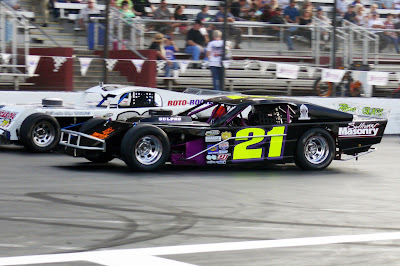 NSMS modified rules and procedures are available at www.northstatemodifieds.com.